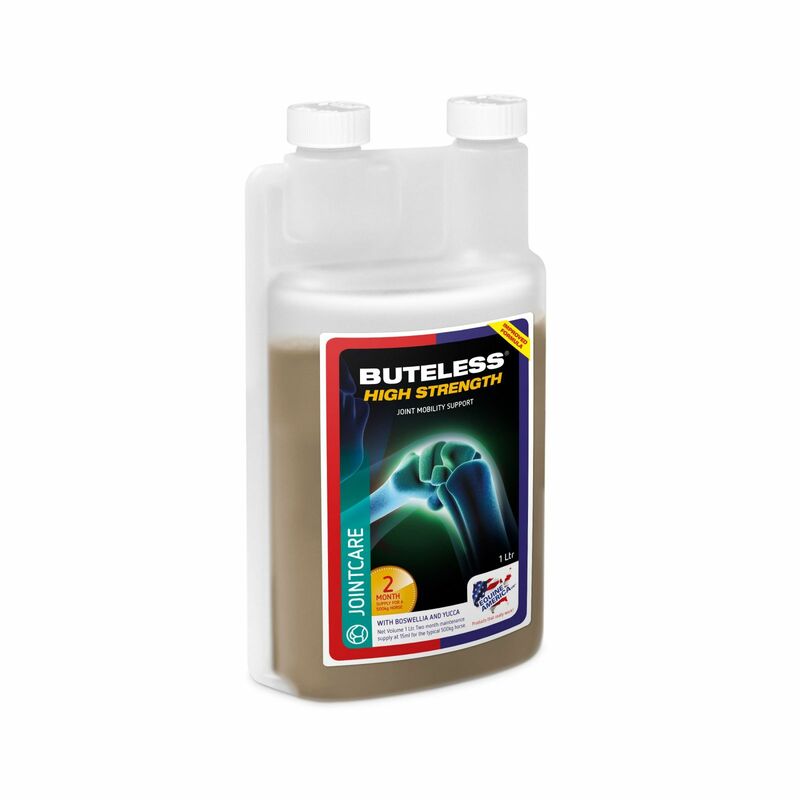 Buteless High Strength is a natural and palatable formulation, designed to provide extra support to older horses and ponies, as well as those with a strenuous training and competition programme. Buteless High Strength contains Boswellia and Yucca, which are both thought to provide nutritional support for the maintenance of joint and muscle comfort. This carefully formulated solution of natural compounds has been formulated to be fast acting, and can be used when short term help is required, but may also be used in the longer term to maintain the beneficial support. When used at the recommended dose rate, Buteless High Strength is suitable for competing and non- competing horses, including broodmares, and may safely be combined with Cortaflex joint supplements. Turmeric Xtra – high quality curcumin with black pepper and Linseed (flax) oil already added. Pure MSM – high quality pure Methyl Sulphonyl Methane. Cortaflex HA Regular – providing key nutrients to maintain joint health in horses in light/medium work, available in powder and liquid forms. Cortaflex HA Super Fenn – high strength joint supplement for hard working and competition horses and ponies, providing collagen, Hyaluronic Acid and Boswellia, available in powder and liquid form. Glucosamine 12000. 12g Glucosamine per dose, plus other key nutrients for joint health. Kentucky Joint Solution – Liquid joint supplement with glucosamine, and other key nutrients for joint health.